ASSEMBLE PROVIDES INSTANT ACCESS TO BUILDING INFORMATION MODELING DATA TO VISUALIZE THE PROJECT, INCREASE PRODUCTIVITY AND SHARE THE DATA WITH THE ENTIRE PROJECT TEAM. NO REVIT KNOWLEDGE REQUIRED! BIM is an acronym for Building Information Modeling. BIM is the 3D representation of building data that is beneficial to architecture, engineering, and construction professionals for improved project control. BIM helps contractors manage costs, minimize risk, improve quality, understand scope and improve project efficiency. BIM significantly reduces the need to rework projects, which results in significant cost savings. Before starting any major construction project, it’s important to put together a BIM Execution Plan. A BIM execution plan is a comprehensive document that helps the project team identify and execute the role BIM plays in the various phases of construction management. Assemble helps simplify BIM implementation for non-Revit users and helps extend the use of BIM data across the entire project team for improved decision making. Organize model inventories by work breakdown structure, bid package or assembly type. 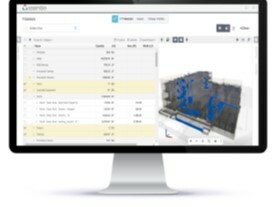 Group and filter model data by any property for increased project insight. Whether it is the owner, estimator, project manager or superintendent, the BIM/VDC team is able to empower all stakeholders –regardless of BIM experience–to access, analyze and share BIM data for improved project outcomes. Provide model insight to owners as the project develops during design and preconstruction. Visualization of the budget makes decision making faster and communication more transparent. Increase bid accuracy by extracting quantities in a matter of seconds based on the most accurate up-to-date data in the BIM model. In addition, project teams can quickly and accurately quantify and visualize model changes between various model iterations in a matter of minutes. Assemble Systems and iSqFt integration allows general contractors to share model views with subcontractors to communicate scope clearly with easy to access 3D visualization. Building information modeling (BIM) is the backbone of today’s building projects. But when was the last time you had complete trust in your BIM data? Without accurate model data and the confidence it generates, you’re limiting the BIM payoff — and your project success. The solution is obvious: Simply ensure the accuracy of BIM data. Right? Unfortunately, manual BIM model checking is time-consuming and unreliable. Automated tools exist, but they can be complex, expensive, and out of reach of most AEC firms. Fortunately, that reality is changing, and AEC professionals today have access to an automated model-checking solution that tackles traditional challenges head on to optimize BIM model data easily and affordably. 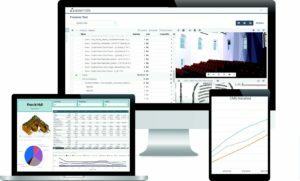 Assemble Systems has developed a solution that overcomes traditional model-checking challenges to deliver a level of BIM data analysis you can’t find anywhere else. Affordable, flexible, and easy to use, the cloud-based software customizes and automates the model-checking process, allowing users to quickly condition data and determine where corrections are needed. Assemble users can easily examine model parameters against a list of acceptable values to quickly identify missing or incorrect information — whether in the data you specify or across the entire model — and create an audit trail of what’s wrong and how to fix it. Then you can sync corrected data back into the model to move progressively toward 100% accuracy. Assemble also generates reports containing information in a variety of formats. Model information and reports are accessible to project team members regardless of location, thanks to the cloud-based platform. Best of all is Assemble’s automation. Automated value checking not only ensures accuracy, but also efficiency. You become more productive while your model quality continually improves. Assemble’s automated reporting supports better understanding, project control, and decision-making during construction. How important are accurate estimates to the success of a general contracting business? They’re critical. Accurate estimating aligns directly with profitability, and low profits are more often due to poor estimating than to unforeseen circumstances on the job. Accurate estimates can be the difference in winning or losing work: The more uncertainty in an estimate, the greater the contingency you’ll add, and the greater the chance that you won’t win the work. 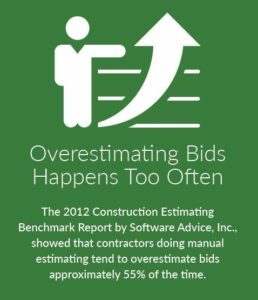 On the other hand, when you can eliminate all or most of your estimating guesswork, you can increase bid competitiveness, optimize profits, and improve your company’s financial stability overall. Traditional, manual approaches to estimating — including those assisted by 2D takeoff tools — are not up to the task of today’s complex projects. Manually locating and counting objects from a 2D drawing is tedious, time-consuming, and prone to misinterpretation and error. And, the areas in which the estimator has less expertise have an even greater margin of error. Consulting subcontractors or other sources for clarification can be difficult if not impossible under deadline pressure, so many contractors facing this situation resort to guesswork. Fortunately, Assemble Systems has developed a solution that overcomes the challenges of traditional, manual estimating processes. Affordable, flexible, and easy to use, the cloud-based software draws on data in the building information model (BIM) to generate highly accurate, reliable quantities in any reporting format you need. Because of the increase in model-based projects, contractors today are basing estimates on a combination of 2D and 3D takeoffs. Estimators often develop early cost estimates using just a 2D program, but as the model evolves and becomes more inclusive of all construction elements, it becomes increasingly difficult to manage updates in a 2D environment. At that point, estimators can call on Assemble to manage design iterations throughout the preconstruction phase. Following are a few examples of Assemble Systems functionality that supports the estimating process. Assemble allows you to extract quantities in a matter of seconds based on the most accurate, up-to-date data in the BIM model. 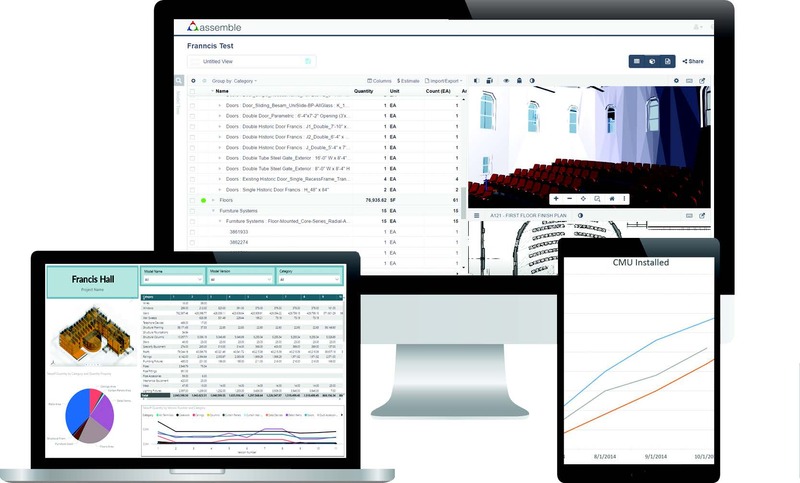 Assemble gives you access to dynamically connected 2D SmartSheets along with 3D models which allow estimators to compare and visualize the project’s 2D drawing in the context of the model. This combination makes the estimation of curved walls, glazing systems, complex roof line and detailed ceiling layout easier and provides a precise calculation for surface area, perimeter, etc. Assemble makes it easy to sort, group, and categorize model objects by work breakdown structure (WBS) or bid package, helping you prepare for a more accurate, efficient process on bid day. Estimators can easily move objects to other bid packages to verify bids, or pull quantities to compare with subcontractor numbers. 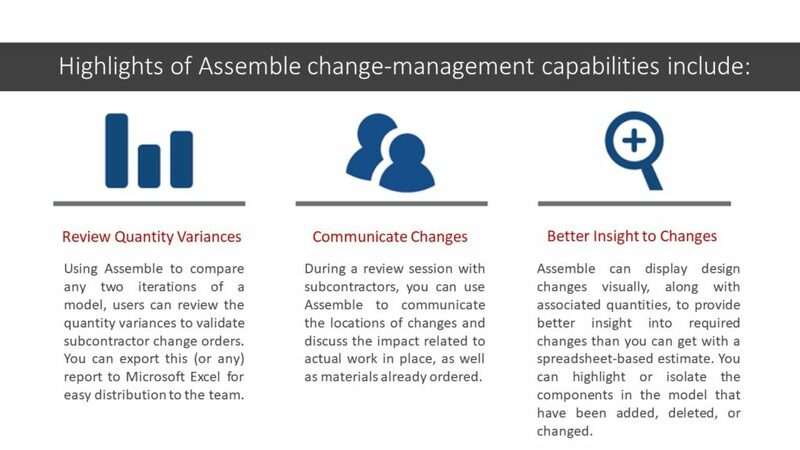 Using Assemble’s Model Variance functionality, estimators can quickly identify the changes made between various design iterations and account for those changes in project estimates, whether the change is in quantity, location, or type. This helps ensure that a bid reflects the most up-to-date project specs. During construction, it can help prevent expensive rework that results from missed change orders. When general contractors or estimators are not completely familiar with the means and methods of the work, they can use Assemble to quickly check that quantities provided by a subcontractor are reasonably consistent with quantities contained in the model, saving days or even weeks of time that would otherwise be spent verifying quantities. arise, BIM again delivers benefits thanks to a new tool that provides key insight into model quantities and their pre- and post-change variances. 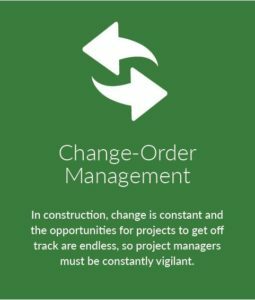 Armed with this level of information, the construction manager now can much more effectively manage change. What doesn’t work effectively today is the traditional process, wherein change order requests often underestimate reductions in quantities and overestimate the additions, and project managers don’t have easy access to accurate data nor the time to track it down. This makes it difficult to develop full estimates and validate change orders against these estimates — and the larger and more complex the project, the more difficult it can be to mind the details of every change order and ensure that the associated costs are accurate and fair. Without a solid foundation for discussion, the contractor’s negotiations with subcontractors — and sometimes, even relationships — can break down. The bottom line is, well, an impact on the bottom line: The greatest consequence to this traditional approach to change management is delayed and lost revenue. Fortunately, Assemble Systems has developed a model data management solution that overcomes the traditional challenges of change management and is affordable, flexible, and easy to use. 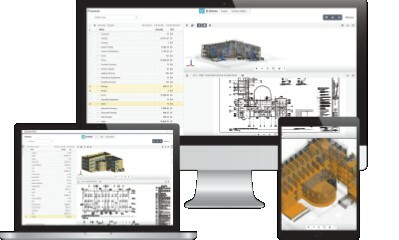 Cloud-based Assemble draws on BIM data, reflecting model updates over time and allowing users to generate reports containing relevant information in a variety of formats. Tracking and analyzing project changes is dramatically simplified; you can capture and easily access quantity changes that impact costs and schedule. Assemble’s cloud-based platform facilitates collaboration among all project team members, which is critical to communicating changes and ensuring that all parties fully understand and can execute changes properly. With detailed data within easy reach, construction project managers gain more control during subcontractor negotiations. Cooperation improves when both parties can trust project information and, not incidentally, can result in fewer contractual disputes. Value engineering (VE) has become a standard practice for many, if not most, AEC projects today. As common as it is, however, VE is not always fully understood or well executed. Value engineering is not a design review process. Nor is it a cost-cutting exercise conducted at the expense of project integrity. Designers should apply VE by considering alternative design solutions to optimize the expected cost/value ratio of components within a project. Contractors should use VE to identify and propose changes that cut costs while maintaining or enhancing the quality, value, and functional performance required by the owner. But when applied optimally, value engineering is a creative, organized exercise conducted collaboratively — and as early as possible — by all project stakeholders to deliver project requirements at the lowest total cost. Progressive project owners are looking for partners who can fulfill their visions and deliver a project on time and under budget, and collaborative VE ensures that all parties are working toward the same goal. 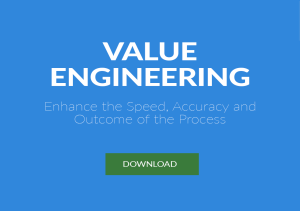 Whatever the approach to VE on any given project, one aspect holds true across the board: Value engineering is effective only to the extent that it is carefully planned and executed. Fortunately, new technology is making this easy and affordable for AEC professionals. Typically, value engineering on AEC projects has been applied so poorly that the concept often meets with scrutiny at best,and at worst results in reduced project quality and value for the owner. Many contractors have come to view VE as a negative side effect of poor budget management during design that requires them to reduce scope or quality when they attempt to realign the project to the budget. VE also gets a bad rap because some contractors or subcontractors involved in the process do not restore value dollar-for-dollar — that is, one subcontractor might understate savings in one area while another overstates the trade-off cost, essentially taking money from the owner’s pocket. ll this happens because the typical approach to VE is unstructured, ill-informed, and unaudited. Typically the VE process is poorly executed because of time constraints,it usually entails a lot of brainstorming sessions that are not fully tracked or documented. In addition, as quick as these changes are discussed and agreed upon, it’s even faster that they have to make their way to the plans and into the field. This is where it can be really difficult to audit. You may never really know everything that made its way to the drawings until it’s too late. The usual approach involves a discussion based on 2D project plans where, in a random fashion, project stakeholders suggest materials substitutions and other design changes in the interest of cost cutting. Numerous options and their iterations are examined but not effectively tracked or organized, and confusion results around which options are accepted. Agreed upon cost delta and scope changes may not get translated to the drawings. Downstream, the result is design discrepancies that lead to rework, confusion, additional RFIs, late change orders, scheduling problems, and added expenses that result in diminished profits for designers and contractors and diminished value for the owner. 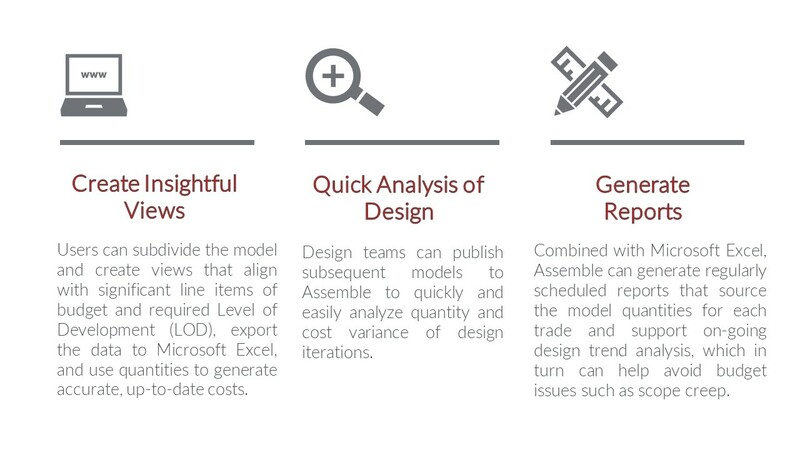 Assemble Systems has developed a solution that sidesteps traditional obstacles and allows AEC professionals to easily and affordably optimize value engineering by greatly enhancing the speed, accuracy, and outcome of the process. Flexible VE tracking and collaboration provides a window into accurate quantities of elements, tracks proposed changes, and creates an audit trail for later verifications. Assemble’s cloud-based model data management platform provides all project members with the ability to access the model information and easily understand the elements, quantities and costs being discussed — regardless of their physical locations — facilitating team collaboration is the cornerstone of true value engineering. 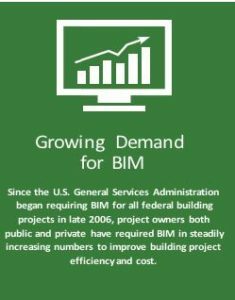 Construction project delivery has become increasingly sophisticated over the past two decades, offering new options — including design-build and construction management at risk (CM@R) — that give general contractors (GCs) more influence and control over projects and offer new services that can help win business. However, this increased level of project control demands an increased level of budget management that traditional processes and tools do not adequately support. Fortunately, for GCs who pursue the project and business benefits of taking on design-build or CM@R projects, new technology exists that provides the design trending and budgeting insight and control necessary for success. In the conventional approach to design-build or CM@R project delivery, the design process is broken into a few phases, with each phase including a budget review conducted by the construction manager. Design can progress significantly between these intermittent reviews and project costs can spin out of control before the construction manager realizes what is happening. Budget overruns can necessitate unplanned value engineering that halts project progress and requires revisions to previously completed design work — which then leads to another round of budget review and updates. 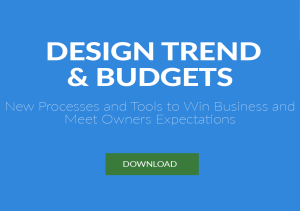 Design trending, which supports continuous and in-depth design analysis and can identify and help avoid potential budget problems, is not typically part of these conventional approaches. 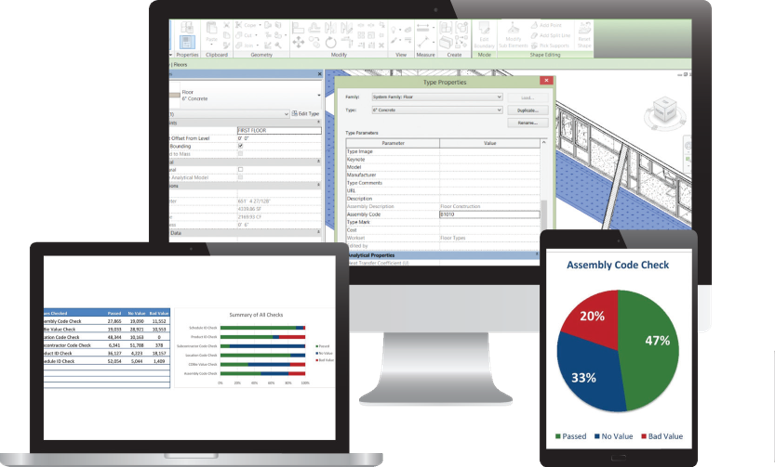 Assemble Systems offers a solution that delivers the level of budgeting insight and control required for complex design-build and CM@R projects. The affordable, flexible software creates Microsoft Excel–based reports using the precise, up-to-date data in the building information model (BIM). The Assemble Connect add-in facilitates direct connection from Assemble to Excel. Assemble conditions the data across multiple versions of a model in an automated manner, the data can then be used to easily develop trending reports and graphs for better project insight. The Assemble process provides the construction manager — and ultimately the owner — enhanced insight into the design as it evolves. Using Assemble’s design trending and budget management functions together with its level of development (LOD) tracking, variance reporting, and other financial reporting, the preconstruction/estimating team can more frequently and easily update the budget and provide feedback to the project manager. 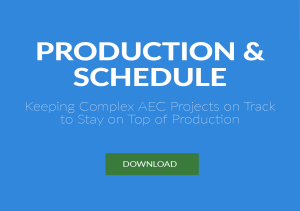 Keeping Complex AEC Projects on Track to Stay on Top of Production www. Managing production and scheduling for construction projects is complicated — to say the least — but a proactive, disciplined approach can pay off big in the effort to control project costs and labor, not to mention on-time project completion. When a project manager does not pro-actively manage production, the project stalls; laborers and equipment sit idle, wasting time and money and jeopardizing workflow. But when the project manager can continually monitor the status of work in progress, he or she can address potential production bottlenecks, adjust materials procurement, and identify other small problems before they become major delays. Formal scheduling is a must for success in today’s construction environment, but it is only effective if the project manager has the tools to regularly and effectively ensure that schedules are on track. Fortunately, affordable, easy-to-use technology is now available to do just that. Many traditional field supervisors still resist formal project scheduling, in particular the critical path method (CPM), which they regard as irrelevant to actual operations and a time-consuming distraction. These folks often resort to “seat-of-the-pants” scheduling and “gut feeling” assessment of work in progress — which sometimes works and other times results in grossly inefficient productivity. Progressive construction professionals, on the other hand, recognize the challenge of keeping today’s complex AEC projects on track and are calling on formal scheduling procedures and tools to stay on top of production. Owners, too, are realizing the value of formal scheduling, and many are requiring detailed schedules before construction begins so they can directly assess whether work is proceeding satisfactorily. Such formal scheduling has been simplified by the advent of construction management software. According to an August 2015 survey by Capterra, a software advisory service, more than half of construction managers rely on such tools. Four out of five who use it said it decreases the amount of time required to complete a project, and two-thirds said it resulted in a 25%–100% increase in sales. Clearly, the time has arrived for all construction managers to embrace these technologies that not only improve existing projects but can help win new ones. by walking around or making phone calls; however, when hundreds or thousands of activities populate the schedule, each with different materials quantities and timelines, any approach that is conducted manually or at irregular intervals will not prove effective in the long run. Options that require extra staff to plan and monitor production also are not realistic in the face of today’s tight project budgets. the project in general; instead, using Assemble, they can examine issues from an analytical perspective to accurately assess the situation and arm themselves with data when addressing the issues. Assemble users also can customize reporting to review information at any level of granularity. Not only will Assemble provide a more detailed understanding of production, but it also can help planning by forecasting future requirements. Reports can include images from the model that reflect the materials quantities cited. With Assemble’s innovative technology solution, Hoar transformed the Brock School of Business Building at Samford University. Browse Assemble’s collection of tutorials and workflows provided by our experts in order to help streamline your use of BIM. Assemble provides advanced data management capabilities to ensure accurate model information for all BIM construction workflows throughout the project lifecycle. Interested in getting Assemble? Try it for yourself for free!